On Saturday June 10, at 1pm, we will be holding the Memorial Service for our beloved parishioner and former Bishop of the Diocese of Los Angeles, the Rt. Rev. Frederick Houk Borsch. Clergy are invited to vest with white stoles, with arrival time of 12:30pm. City parking, for a fee, is available in the structure across the street from the church. If it is full, there is another lot on 4th, just north of Wilshire (somewhat hidden on the left). 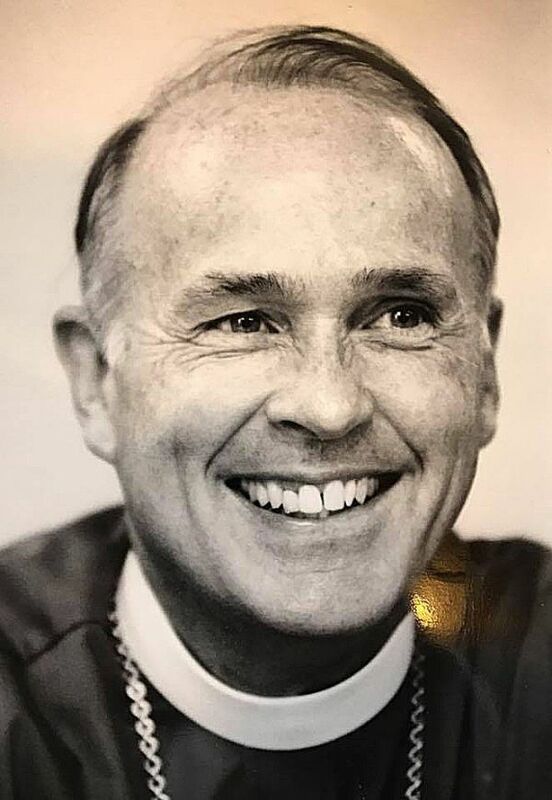 Former Episcopal Bishop Frederick Borsch Dies at 81; Early LGBTQ advocate, pushed for living wage in L.A.
Come join us on June 10. And in the meantime, keep Fred, his wife Barbara, their children and their extended family in your prayers. May light perpetual shine upon him.